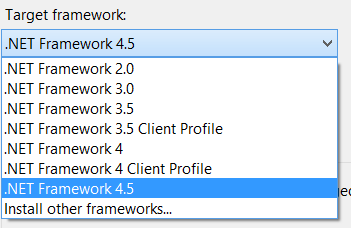 Where the hell is .NET framework 4.5 client profile ? Am I missing something ? Did I installed anything wrong ? Apocalypse ? No nothing is wrong, Microsoft have discontinued the client profile thingy from .NET Framework 4.5 onwards. Client profile was basically the version of .NET framework that was optimized for client application (according to MSDN). This basically means it can be used for most of the type of application developed against .NET framework. One major difference between the full version and client profile of framework is that client profile is not the choice when you are development or deploying ASP.NET application or in generic sense server application. 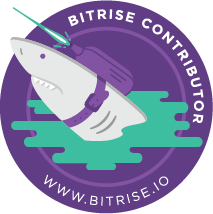 The client profile is the subset of the full framework targeting client machines in an domain or organization where you don’t want to provide capabilities to host or run server application. This client profile was available in .NET framework 3.5 and 4.0 and to add it was also available on Windows Update for your machine to make commonly available at ease in most of the system and eliminate the headache to install the framework for any freshly prepared machine. If your machine have .NET framework 4.0 Client profile already installed and you install the .NET framework 4.5 the previous version will be updated to the full version of .NET framework. So for application that you develop targeting .NET 4.5 has nothing more to choose, but for people who are developing application targeting 4.0 or 3.5 .NET framework should really decide well which version and profile they target for their application if they are not doing it already. The above links also shows good difference between the full version and client profile version of .NET Framework.